A scene from "Manila Notes". Tanghalang Pilipino (TP) along with the Japan Foundation, Manila (JFM), in partnership with the Cultural Center of the Philippines (CCP) present "Manila Notes", as part of TP 32nd season production from November 30 to December 16, 2018, Fridays, Saturdays, and Sundays, at 3PM and 8PM, at the CCP Tanghalang Aurelio Tolentino (Little Theater). Adapted from Tokyo Notes, written by internationally acclaimed Japanese playwright and director Oriza Hirata. 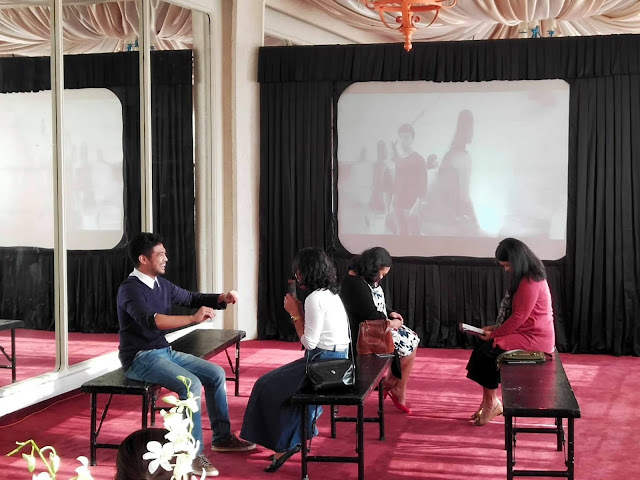 The play is one of the most critically acclaimed works of Hirata, which has been translated into 13 languages for productions in many cities around the world. 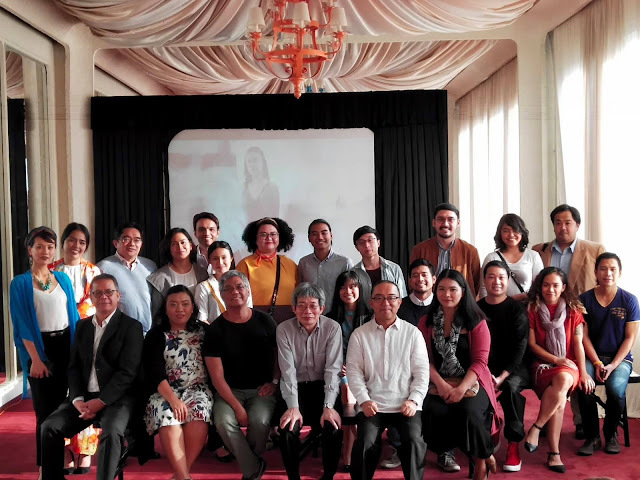 To make sure that the Japanese material communicates well with the local Filipino audience, the Palanca Hall of Fame writer Rody Vera has been working with Hirata on the adaptation together with the twenty (20) leading Filipino actors. Hirata introduced to the actors his acting style called “contemporary colloquial theater theory,” which is entirely different from Western acting techniques. This technique, created by Hirata to counter the traditional loud theater seen in Japan, has been received by the world to great acclaim. This, apart from the stellar cast and artistic staff, gives the audience another great reason to watch this acclaimed production. The artistic team, actors and production staff have been actively involved in the process of creating a brand-new type of theater practice through workshops, rehearsals and discussions. Lastly, the set design is also a collaboration by an acclaimed Japanese set designer, Itaru Sugiyama and select theater practitioners and students in Manila. Tokyo Notes is inspired by Yasujiro Ozu’s film “Tokyo Story”—the story of Manila Notes takes place in the lobby of an art museum in Manila sometime in the near future. A major war is being waged in Europe and many paintings have been moved to the various cities in Asia. In front of such paintings, family members, friends and lovers continue their fragmentary conversations on taking care of their aging parents, inheritance, future careers, and love, among others. With the backdrop of a distant war, the play clearly portrays how Filipinos live their everyday lives, which reveal a whole range of problem and crisis of our modern society. Manila Notes boasts of the some of the most versatile performers on the Philippine stage today: Meann Espinosa, a Philippine Educational Theater Association (PETA) actor, and Mayen Estañero, a TP Actors Company alumna, lead the cast, which also include some of theater’s finest: Former TP Artistic Director Dennis Marasigan, Gie Onida, Ian Segarra, J-Mee Katanyag, Neomi Gonzales, Wenah Nagales, Kathlyn Castillo, Randy Villarama, and Elle Velasco. Together with them are some of the members of the TP Actors Company: Jonathan Tadioan, Marco Viaña, Lhorvie Nuevo, Antonette Go, Joshua Tayco and Manok Nellas. The young, talented actors from different universities, Micah Musa from UPLB, Manuel Tinio from De La Salle University, and Manjean Faldas from the DLSU-College of St. Benilde, complete the cast. These actors were carefully selected after an open audition last September, conducted by Prof. Hirata, himself. The cast and crew of Manila Notes. For more information please visit our website at www.jfmo.org and Facebook. For ticket reservations, group sales, sponsorships, and special performances, please contact Tanghalang Pilipino: Juan Marco Lorenzo at 0999 8843821 or Lorelei Celestino at 0915 6072275 or 832 1125 local 1620/1621. Tickets are also available at Ticketworld online or by calling 891 9999, and at the CCP Box Office. Photos by Gilbert Kim Sancha. What's inside the Dressing Room? The Pwedeng Pwede Family Day.